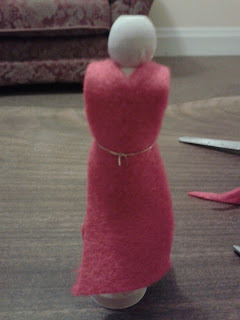 Flame: Creative Children's Ministry: 5 minute no-sew peg characters for telling Bible stories! 5 minute no-sew peg characters for telling Bible stories! 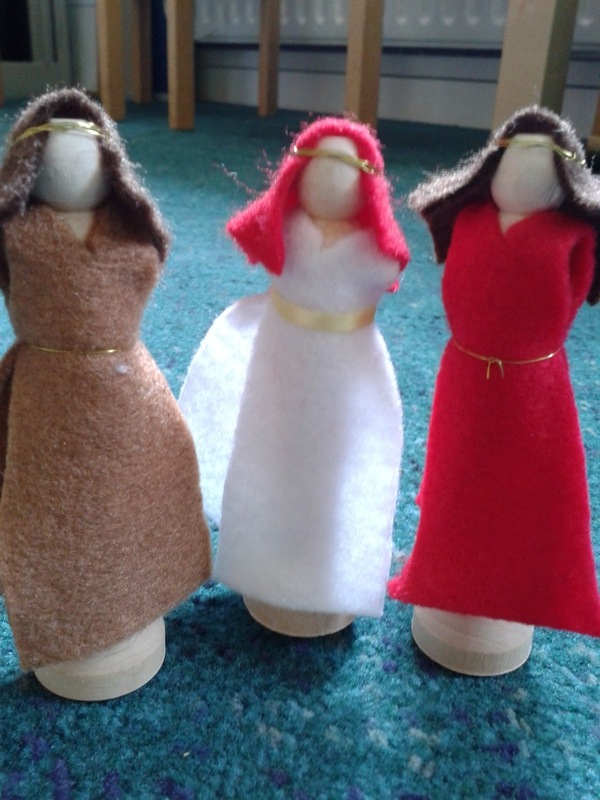 I was feeling a little bit crafty the other day and wanted to make some generic figures for acting out Bible stories with. I'm not very into crafts that take a long time. I like minimal effort, speed and something that looks good! These dolls need no sewing and take about 5 minutes to do! Cut a long rectangle of felt, just under twice the length of your peg. Fold it over. Trim the sides into a kind of truncated triangle shape and cur a v shaped hole for the peg's head. 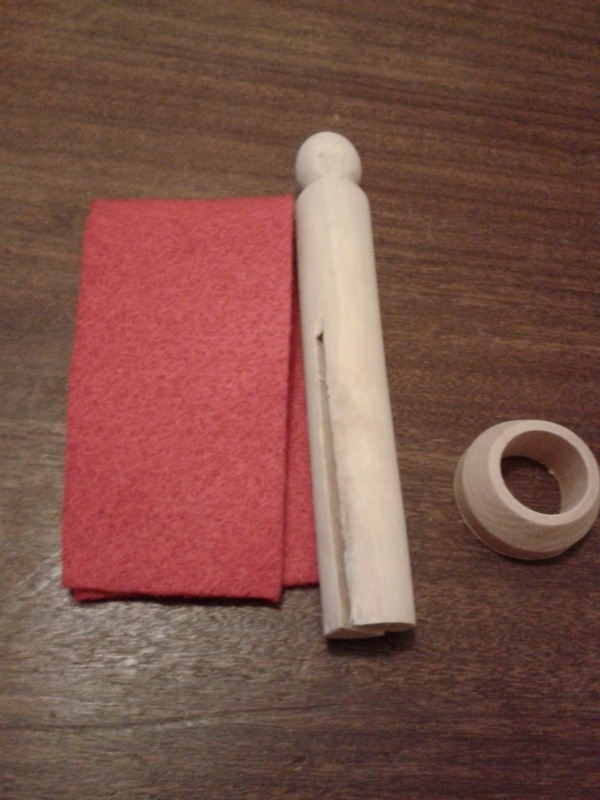 Dress the peg in the tunic and use a piece of thin ribbon or wire to make a belt, which will secure it to the peg. 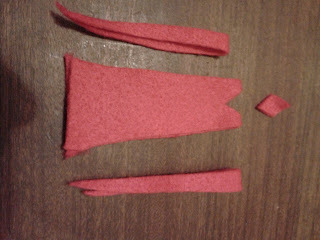 Cut a smaller rectangle as a head dress (you will have to make a judgement on how big, based on the size of your peg!). Wind some wire around your index finger to make a band to secure the head dress to the peg. Hot glue the head (top and sides) so that the head dress will stick. 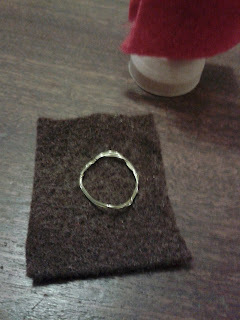 PVA will work too, but it will take longer and you'll have to hold it! I'm sure I could experiment with pipe cleaner arms but I quite like these as they are for the time being!